Chinese has four tones and students always mix them up. Now I will give some advices for learning Chinese language with tones. First of all, memorize, memorize, and memorize. Try to remember the Chinese tones as much as possible. The tone chart and hand signals help you remember how four tones are pronounced. Find some simple Chinese audios and listen to them. These options can expose your ears to native speaking Chinese. 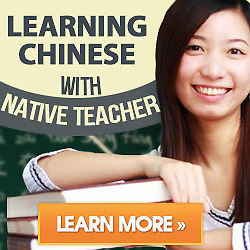 Or you can get a tutor directly from China. She/he can help you get accustomed to the tones that are crucial to communicating in Mandarin Chinese. There are four tones in the Chinese language: the first tone, the second tone, the third tone and the fourth tone. The first tone has a high and even pitch. The second tone has a rising pitch while the third tone has a pitch that falls and then rises. The fourth tone, as the name implies, has a dropping pitch. You may wonder why there are four tones in Chinese. Chinese is a tonal language with four pitched tones. The reason for having these tones is probably that the Chinese language has a limited number of possible syllables — approximately 400 — while English has about 12,000. For this reason, there may be more homophonic words in Chinese than in most other languages. Apparently, tones help the relatively small number of syllables to multiply. Now you can understand how the Chinese people use only one syllable “da” and yet can tell the difference between “to hang over” (搭 dā), “to answer”(答dá), “to hit” (打dǎ),and “big”(大 dà). Yes, the secret lies in the tones. The tones determine the meaning of the word . Chinese one-on-one lesson may also help you if you trouble with the tones. Let us Learn Chinese language together.